Flip Out Mama: Baby Shower Bash Sponsor #7: Baby Rock Apparel! 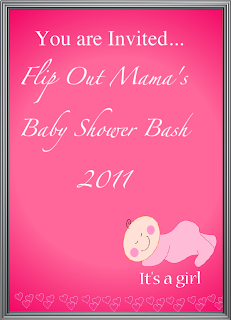 I am very happy to announce the newest sponsor of our Baby Shower Bash, Baby Rock Apparel! This is a wonderful company offering some of the most hip and stylish baby clothes that you will find anywhere! They were kind enough to send us an awesome tutu for baby Sadie and I can't wait to tell you all about it! Stay tuned! I was such a sucker for baby rockstar stuff! Love it! lol.